New York Gov. Andrew Cuomo gave energy storage a triple boost yesterday with the release of a series of new climate change initiatives. First, Cuomo called for 1,500 MW of energy storage in New York by 2025, a goal he sees the state reaching through regulatory changes and utility solicitations. Second, he proposed that the NY Green Bank commit $200 million to drive down energy storage costs and deploy it where most needed on the grid. In addition, Cuomo directed the New York State Energy & Research Development Authority (NYSERDA) to apply at least $60 million to pilots and activities that will reduce barriers to energy storage, such as delay and obstructions caused in permitting, customer acquisition, interconnection, and financing. The third boost comes indirectly by way of new restrictions Cuomo proposed for a market rival to energy storage, fossil fuel peaking generators. Peaking units that generate 25 MW or less are now exempt from carbon dioxide restrictions of the Regional Greenhouse Gas Initiative, a multi-state cap and trade program in the Mid-Atlantic and Northeast. However, Cuomo wants to broaden the restriction to include the smaller plants, arguing that many peakers are highly-polluting and often located close to population centers and low-income and minority communities. In his announcement, Cuomo did not address the peaker limits in terms of energy storage. However, any curb on use of peaker plants could open the door for more use of batteries. Batteries act as an alternative to peaking plants, since they too can discharge energy quickly onto the grid when a sudden need arises. The extent to which energy storage is able to sell services into wholesale markets depends largely on rules set by regional grid operators, like the New York Independent System Operator (NYISO). Speakes-Backman said that ESA and other stakeholders are now working with NYISO to ensure that both capacity and ancillary services markets allow energy storage to participate effectively and fill any gaps left by retired peaking units. Applying the greenhouse gas restrictions to peaker plants will be part of a larger change in RGGI’s carbon dioxide cap that member states have already agreed to. Cuomo will direct the New York Department of Environmental Conservation (DEC) to undertake a rule-making in 2018 to make the changes. In addition, Cuomo asked DEC to make complementary reforms to reduce emissions of smog-forming pollutants from peaking units and to adopt regulations ending the use of coal in the state’s power plants by 2020. 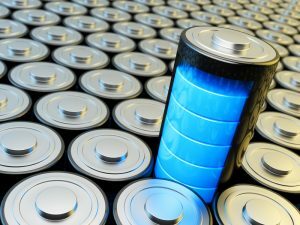 Cuomo’s energy storage announcement builds on legislation (A6571) he signed in November that calls for the Public Service Commission to establish energy storage targets by 2030, in consultation with NYSERDA and the Long Island Power Authority. In keeping with the intent of the bill, Cuomo is directing the state energy agencies and authorities to work together this year to generate a pipeline of storage projects. The projects will come by way of utility procurements and regulatory changes in utility rates and wholesale energy markets. Cuomo also wants storage included in large scale renewable procurements. 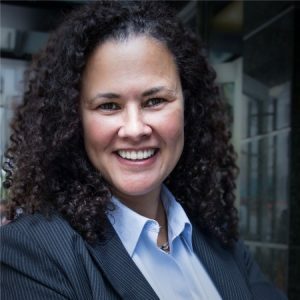 “We at ESA are delighted to count New York as a leader in the march toward 35 GW of new energy storage by 2025, as outlined in our Vision 2025 report, and ESA stands by to assist states like New York forging a path toward a more efficient, resilient and reliable, sustainable and affordable grid,” Speakes-Backman said. 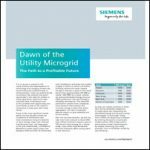 Discover energy storage opportunities within the microgrid industry. 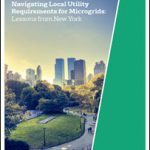 Join us at Microgrid 2018!